Nearly 5,400 pounds of cargo, provisions, tools and a Russian Orlan spacesuit were lost on the Progress MS-04 supply freighter when it crashed in Siberia shortly after a Dec. 1 launch from the Baikonur Cosmodrome in Kazakhstan. Russian controllers lost contact with the unpiloted spacecraft around six minutes after launch, when its Soyuz rocket was still firing to propel the Progress cargo ship into orbit. 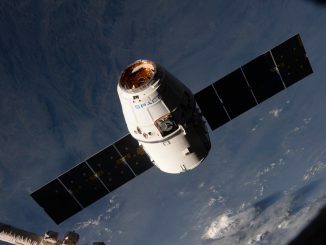 A Russian-led investigation, conducted with the assistance of NASA experts, determined the Progress MS-04 spacecraft and the Soyuz-U rocket’s third stage had an “off-nominal separation” more than two minutes before the two vehicles were supposed to enter orbit and part ways. The sudden mishap involved the rupture of the third stage’s liquid oxygen tank and a fire inside the stage’s RD-0110 engine. “The most likely cause of the contingency was the third stage liquid oxygen tank opening as a result of exposure of (RD-0110) engine destruction elements that occurred (as a) result of fire, and further destruction of the oxidizer compound pump,” the Russian space agency, or Roscosmos, said in a Jan. 11 statement. 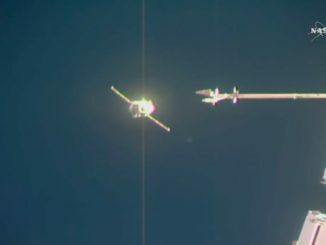 The failure was the fourth time in 25 months that a supply ship heading for the space station has fallen short of the complex, and the second Soyuz/Progress launch failure since April 2015. The next Soyuz launch with a Progress cargo mission was delayed from Feb. 2 to no earlier than Feb. 21 in the wake of the accident. Citing a statement from the Roscosmos press office, Russia’s Tass news agency reported Tuesday that the RD-0110 third stage engines on the next two Soyuz launches in support of the space station will be replaced. 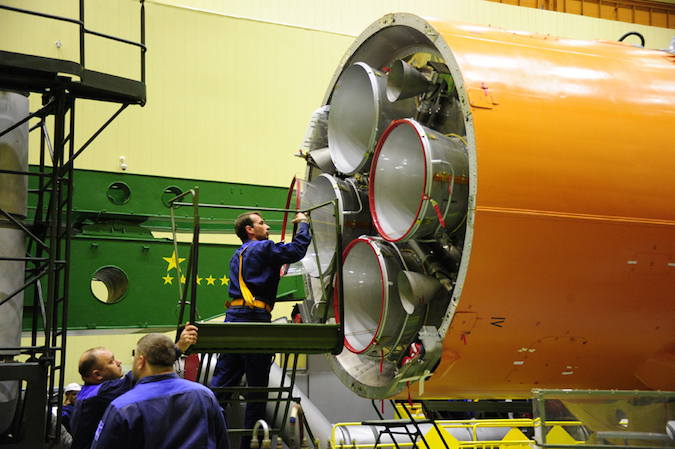 Technicians will install similar RD-0110 engines from different manufacturing lots on the Soyuz-U and Soyuz-FG boosters slated to launch the Progress MS-05 cargo mission next month and the Soyuz MS-04 spaceship in March. 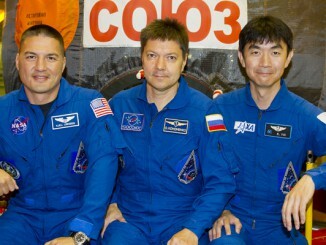 Russian cosmonaut Fyodor Yurchikhin and NASA astronaut Jack Fischer will ride in the Soyuz MS-04 spacecraft to begin up to a half-year residency on the space station.